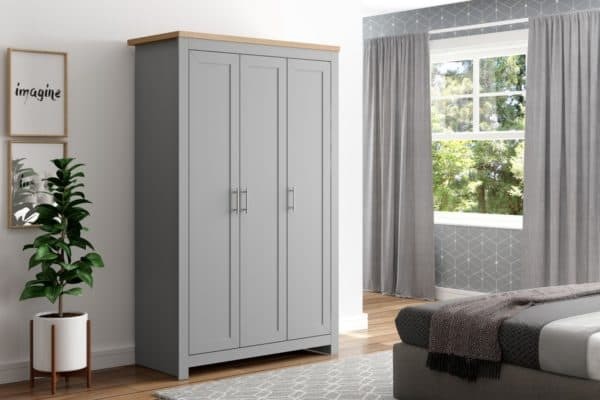 Inspired by classic farmhouse furniture the Winchester range has been designed to complement both modern and traditional homes. 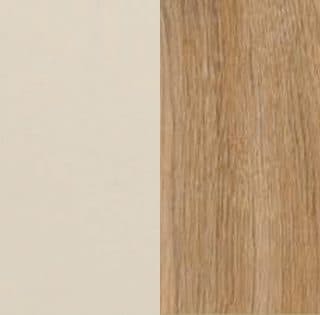 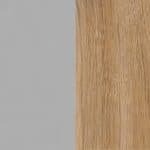 Available in cream & oak or grey & oak this range will suite a wide array of interiors. 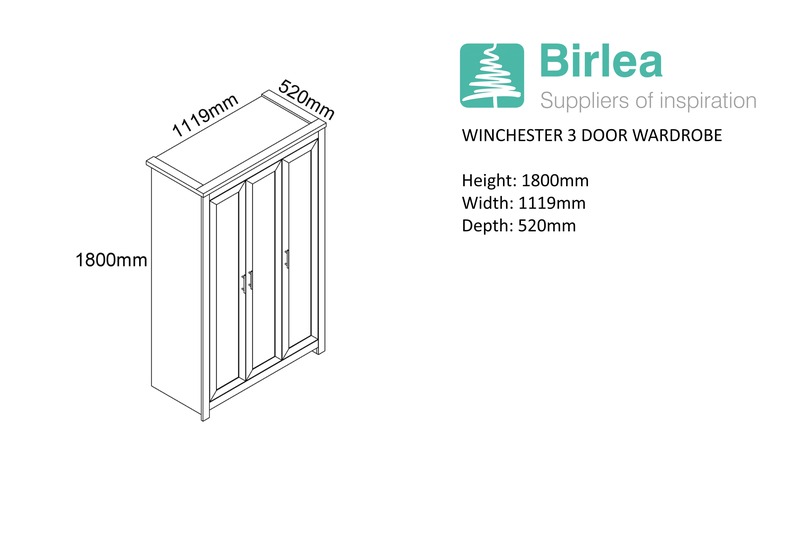 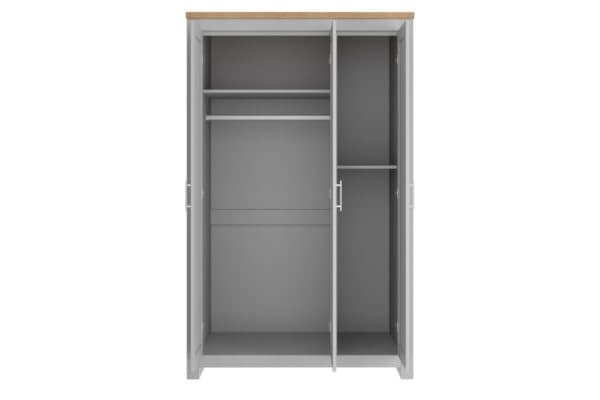 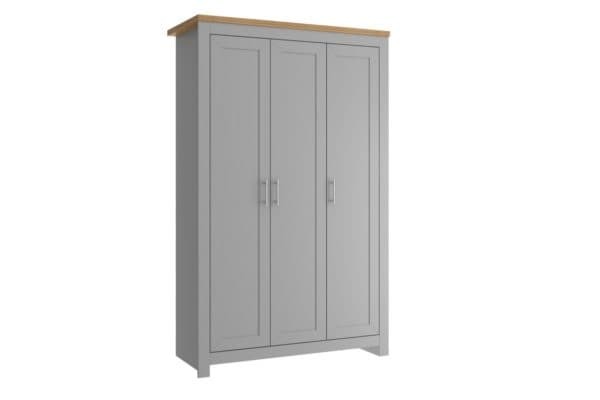 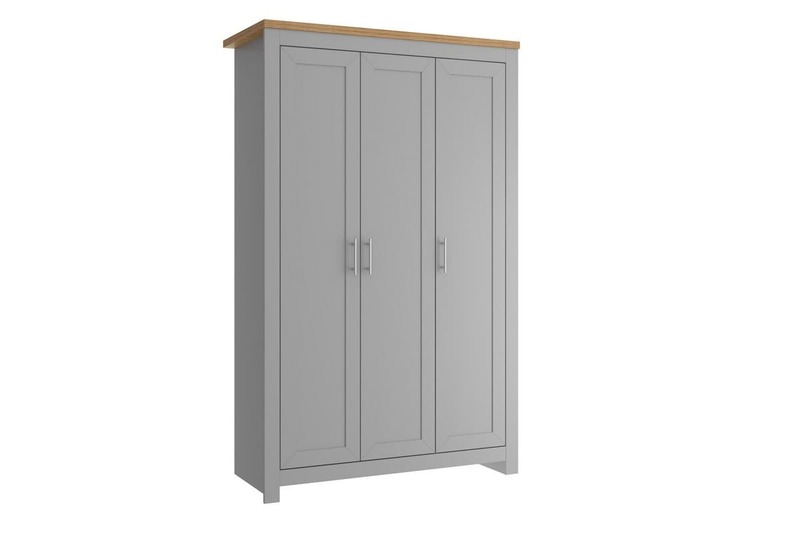 The Winchester 3 door wardrobe is spacious behind double doors, featuring a hanging rail. 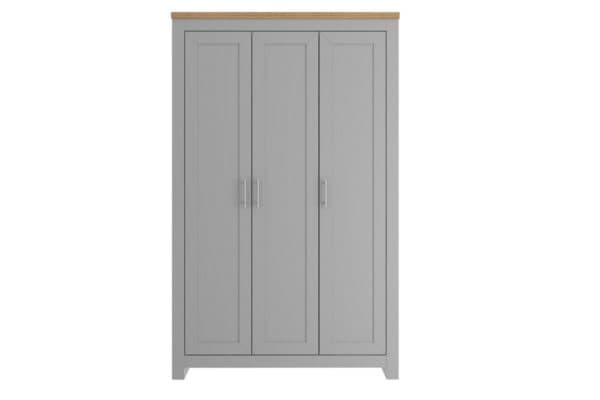 The doors are finished off with contemporary silver handles.